The Kitagawa BK Series is ideal for anyone involved in the filling, purification, generation, or usage of compressed breathing air. Impurities in breathing air can adversely affect human health. 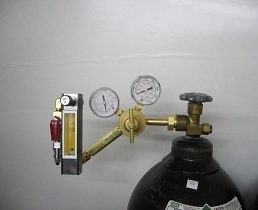 The BK Series is designed to measure these contaminants in SCBA, SCUBA and other pressurized breathing air cylinders, as well as directly from the outlet of an air compressor or purifier. 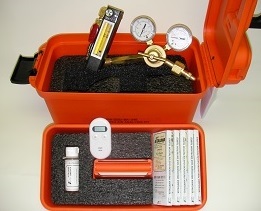 The BK easily measures five components within minutes: carbon monoxide, carbon dioxide, oil mist, water vapor and oxygen. *Detector tubes for measuring each of the five breathing air components are sold separately.